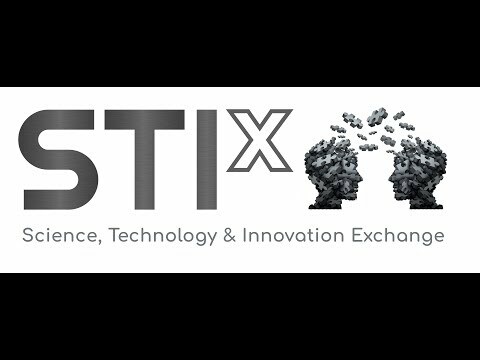 The Science, Technology, Innovation Exchange (STIx) is meant to communicate the big ideas, positive social impacts, and disruptive capabilities that have resulted from DoD S&T investments. This series of short videos features talks in fields of science, technology, and STEM, are presented by DoD and DoD sponsored participants, from across the Department and that span careers from graduate students to senior researchers. These in-depth stories were developed to raise awareness about the importance of Defense laboratories, engineering centers, and warfare centers as unique catalysts for innovation as well as showcase the critical work they perform. By sharing stories about the people and institutions behind science and technology, DoD STEM aims to increase interest in STEM careers. Dr. Allan Bracker, "Semiconductor Quantum Dots for Quantum Technologies"
Quantum physics is well known for strange phenomena such as wave-particle duality, superposition, and entanglement. In recent years, scientists and engineers have learned to harness these things for dramatic new technologies in computing, communication, and sensing. Dr. Ashley Ruth, "Lighten the Load"
Presently, the soldier can carry anywhere from 60 to 160 lbs, and up to 20 lbs of that load are batteries. Batteries are necessary for the soldier to operate all of the advanced technology that provides tactical overmatch on the battlefield, from GPS to radio communication to portable end user devices. As a material scientist interested in energy, my big question is this: How can we lighten the load through the development of advanced battery systems so the warfighter can more effectively achieve his mission? Dr. Brad Ringeisen, "Cutting Edge Research for the DoD: Navy Scientist to DARPA BTO Deputy Director"
From programmable microbes to human-machine symbiosis, biological technologies are expanding our definition of technology and redefining how we interact with and use biology. I present my experiences as a research scientist at the Naval Research Laboratory where I explored a number of topics ranging from live cell printing to power generation using microorganisms. Dr. Daniel Cole, "Why don't we just 3D print all of it?" Additive Manufacturing (AM) or “3-D Printing” is a process whereby materials are joined layer-by-layer in order to build objects created through computer-aided design. AM is becoming mainstream. People in industry, academia, government, as well as hobbyists, are printing everything from robot parts, to biological tissue, to lawn ornaments. Dr. Jeff Heggemeier, "MAX Power: Counter IED Technology"
As an Air Force Research Lab (AFRL) civilian, I spent 7 years developing a high power microwave counter improvised explosive device (IED) prototype system as the program manager and technical lead. I received a patent for developing the key enabling technology of the prototype. This system is the most powerful mobile transmitter in the world and included many state-of-the-art technologies to accomplish its purpose.